By Danielle Stephens | November 28, 2013. Senator Jimmy Harte, who is suffering from a serious head injuries following a fall, is said to be in a stable condition. Harte’s jacket and keys were found in a pub on Dawson Street that afternoon on the 16 November, ending speculation that the Labour senator was robbed while injured after a fall. The 55-year-old was found at 3 am on Saturday morning in the Newmarket Square area in Dublin 8. He was originally rushed to St. James’ Hospital, but was later moved to Beaumont Hospital after being deemed as critically injured. Doctors performed surgery on the Donegal politician to relieve swelling on his brain and he is still in an induced coma, while his condition is monitored. Gardaí from Kevin Street garda station, have ruled out that there was anything suspicious surrounding the insurance broker’s fall, after interviewing witnesses and looking through various CCTV footage from around the Newmarket Square area. Beaumont Hospital isn’t releasing any further information on Senator Harte’s condition, except that he remains in a critical but stable condition, and he is being monitored on an hourly basis. However, a spokesperson for the Labour party said that the father of four is surrounded by family and that they are grateful for the number of messages wishing Harte a speedy recovery. Senator Harte had been out with friends after seeing Ireland play Latvia in the Aviva Stadium on Friday evening. It has been suggested that Harte, after returning home from celebrating after the match, might have been on his way to buy a take away meal, when the fall took place. Gardaí were investigating the possibility that the Labour senator was robbed, while lying unconscious on the ground. However, no one was spotted in the area around the time of the fall and Gardaí have ruled out assault after his personal belongings were handed in from the Dawson Street pub, where he was drinking after the match. Harte joined The Labour Party in 2010. 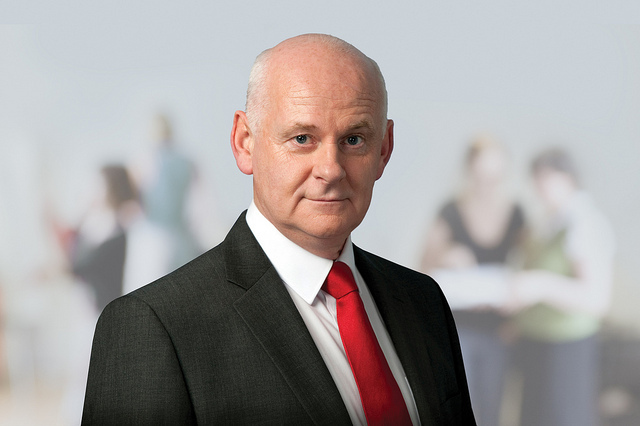 He was elected to the Seanad to the Industrial and Commercial Panel in 2011.